Erin Daly Ballas joined Public Affairs Consultants in 2008 as a legislative intern. Since then Erin has worked her way up becoming first a legislative assistant and later an Associate of the firm. Erin's list of responsibilities is extensive ranging from coordinating client visits with members to managing the office and staff. Erin's experience in the legislative process has grown exponentially. She provides testimony in committee meetings and also works with members to educate them on issues relating to clients. 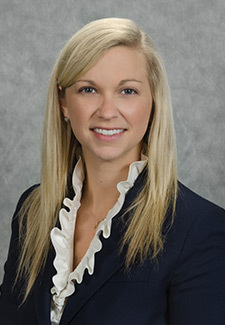 Throughout the legislative session, Erin monitors and tracks legislation and amendments that may impact our clients; attends relevant legislative meetings, budgetary meetings and workshops; coordinates meetings with legislators and legislative staff; prepares correspondence, issues briefs and legislative reports for our clients; and maintains the office's legislative calendar. In addition, Erin also helps in the coordination and execution of all grassroots efforts. She helps in the development of an individualized One Hour Legislative Grassroots program for each client. Erin facilitates the execution of the grassroots programs by coordinating and attending legislative visits with clients throughout the state. These grassroots efforts include organizing members of an association or organization, helping to strategize and effectively communicate a solid message, and advocate on behalf of the organization to the Florida Legislature. Through these meetings Erin ensures that clients build lasting relationships with their local legislators.